Safety Instructions * Do not light charcoal with any petrol derivative, this is dangerous and can affect the smell of the charcoal * Do not leave unattended in the presence of children * Do not light in a confined space without adequate ventilation. We offer WIDE SELECTION of Hookahs, Charcoals, Molasses, & Accessories! 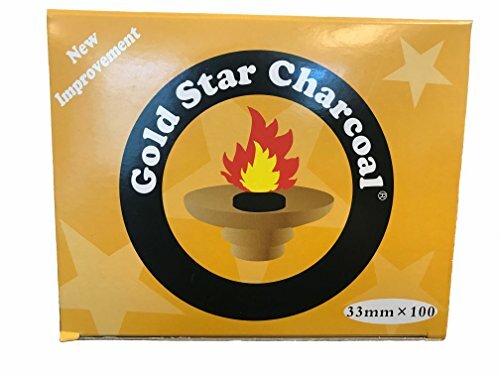 If you have any questions about this product by Gold Star Charcoal, contact us by completing and submitting the form below. If you are looking for a specif part number, please include it with your message.